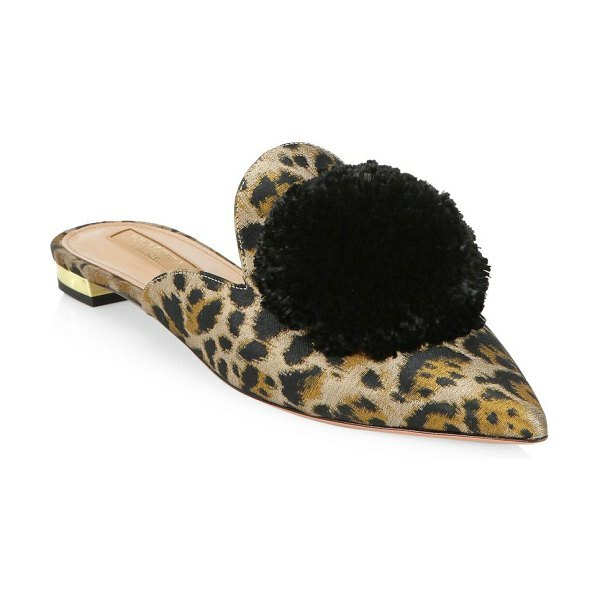 From the Saks IT LIST ANIMAL INSTINCTS See spots everywhere. Wild prints like leopard pair back to everything. 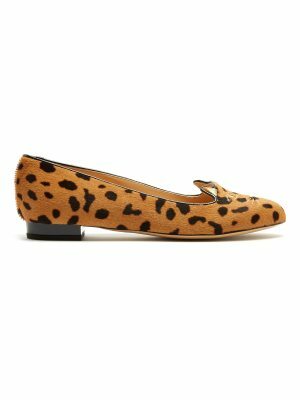 Lavish pouf tops shimmery leopard mules Textile upper Point toe Slip-on style Leather lining and sole Made in Italy. Women's Shoes - Aquazzura. Aquazzura. Color: Caramel. Size: 37 (7).